Allison Linker, Jess Beveridge, Cynthia Granville, and Jami Simon. Photo by Emily Hewitt. ​At Shetler Studio 244 W 54th St, 12th floor. This building is Accessible. Writers can arrive at 2pm to write to a prompt for an hour, after which we will discuss process and craft at 3pm. Actors begin arriving at 3:20. Readings start at 3:30pm. Writing individually in a group is very helpful because we learn to push through blocks that can trip us up at home. Because everyone else in the room is writing, the pressure to continue helps us learn to push ourselves, and that habit can teach us that we usually can go further than we think we can, and we are often grateful for that little extra push! When we return home, we are able to work better, for longer periods, with greater focus. Writers do not share what was just written although we do discuss how the writing itself went. Writers pay a nominal fee to come and write. Writers pay to develop, and it is affordable (prices below). At 3:20 pm the actors begin to arrive. Actors do not pay to play here. Actors may arrive late or leave early depending on their schedule. There is no commitment necessary. Actors don't promise us their time in advance. If you can come, please do! If you have an audition or work, come next time when you are free. Actors say that participating in this workshop has helped them at auditions and on stage. 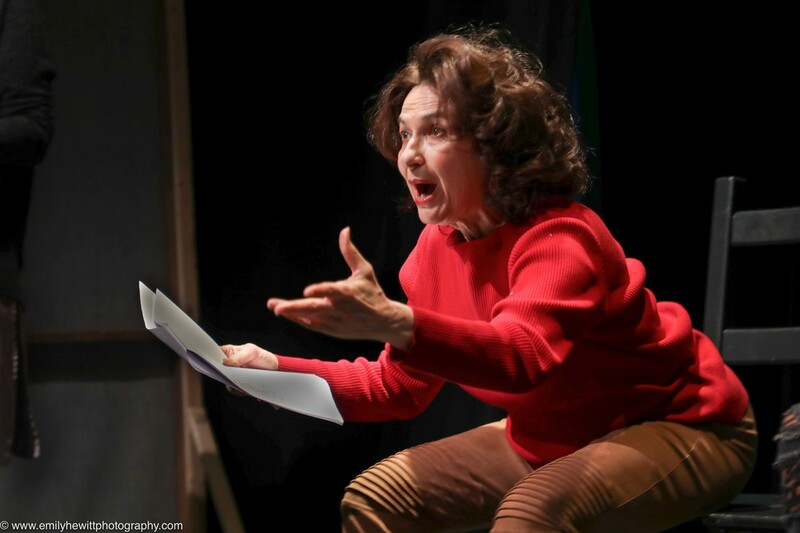 Actors have told me that their acting has improved by reading at WNWorkshop regularly; the WNWorkshop helps them understand scripts in rehearsals and their playwright's point of view. 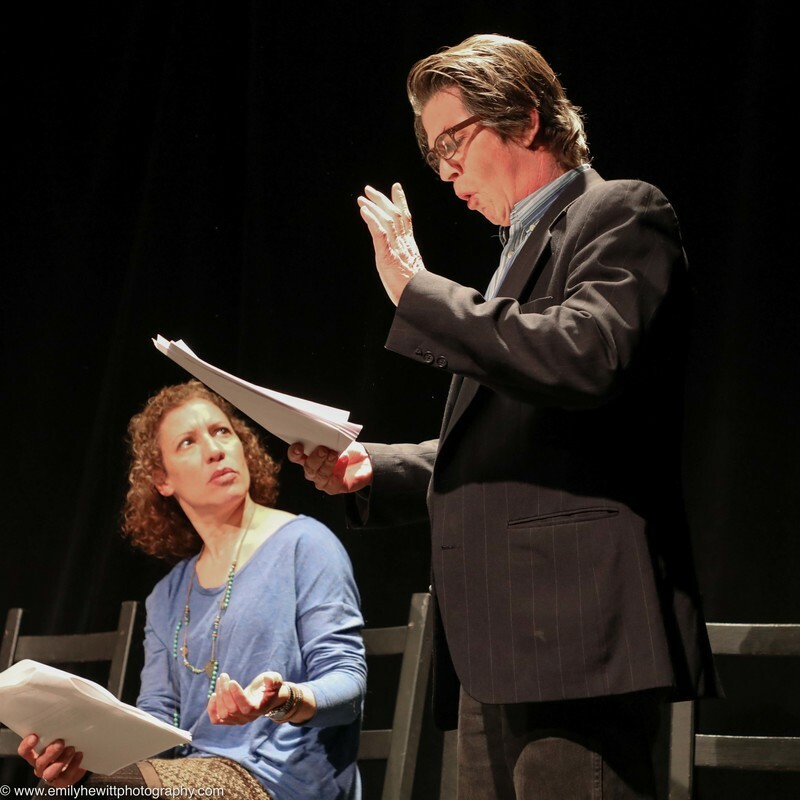 WNWorkshop has changed how they talk with playwrights and helped them feel more comfortable discussing new plays with playwrights and directors. Actors have told me that this workshop has changed their lives! 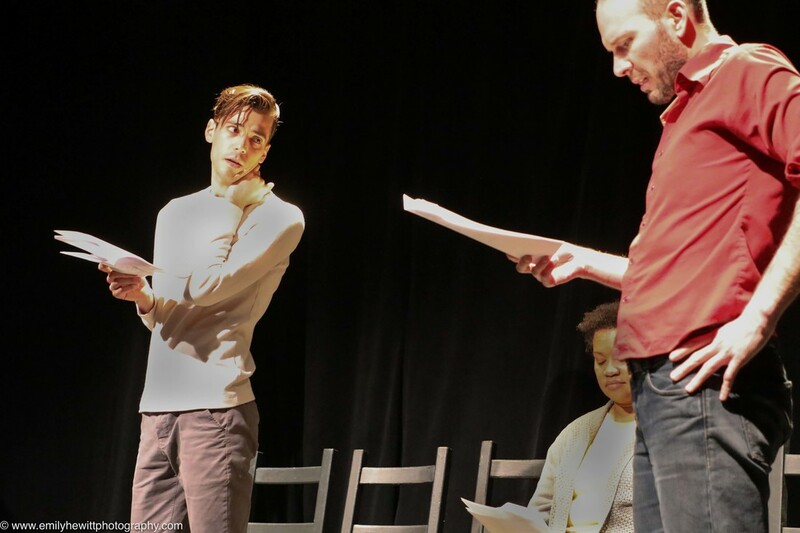 Throughout the afternoon, (3:30-6 pm) actors are cast and read excerpts from our Writers in Development - writers who pay in advance or that day to develop work for the season. Each Writer gets 30 minutes for presentation including response. Writers may bring 10-15 minutes of material and they will receive feedback based on their needs. There are Regulars and Drop-In Writers in Development. They all get the same treatment, except Regulars have pre-paid for the season in advance, so they get first priority in terms of who gets to read. They also get help casting if they need it, although we prefer to cast from our acting pool. Writers are always welcome to bring their own actors. Regulars pay in advance a minimum of $300 (the bottom of a sliding scale) for 10 weeks. Price for Drop-In Writers begins at $35 per session. Sliding scale works like this - pay what you can afford. Anyone with financial concerns can discuss this further with me. Drop-In Writers should contact me, Emma, in advance to get on the list to read, but occasionally there is room the day of the workshop. Regular Writers are always scheduled to read unless they tell me otherwise. When an excerpt is read, feedback is up to the writer. Depending on what the writer needs, I will vary the way feedback happens, but always with the writer's needs in mind. I believe that feedback should be healthy and nurturing, and I work to create a safe space for everyone involved. I try to capture everyone's comments in a typed document that I send via email with my own notes. At the end of each season, there is a presentation of excerpts onstage with actors. It is a celebration of the work we accomplished with workshop participants and their invited guests. Regular and Drop-In Writers are asked to participate. There is a reception, and a professional photographer is brought in to take stills of the actors. It may be possible to arrange that your own work be videotaped for archival purposes. 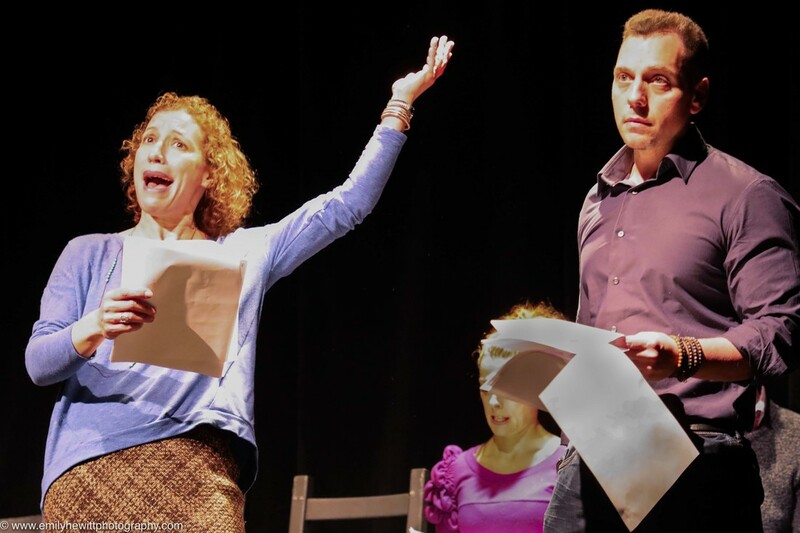 At the end of the Spring season, a full-length play developed in WNWorkshop is chosen to be presented as The Michael Warren Powell Memorial Reading at The Dramatists Guild Foundation's Music Room over the summer. The Talented writers and actors of the Write Now Workshop! June 29th 2016 saw the end of season celebration of writing and collaboration with an evening of short plays, monologues and excerpts from larger pieces. The evening was a HUGE success and enjoyed a large appreciative audience! Sessions resume again in September, we hope everyone has a productive and creative summer!